- Frame Work Constructed With Ms Steel. - Mounted on PVC Rubber Stumps. - Top Is covered with Thick PU form and Rexine material. Stylish Lab Stool offered comes in quality construction finish and feature heavy duty finish so as to provide for lasting service life. These adjustable height science lab stools also come with superior breathable fabric upholstery and foot ring support for convenient seating while conducting experiments. We are instrumental in offering excellent Laboratory Stool to the customers in different specifications. These stools are designed in compliance with the international quality standards, by the support of our team of experts. In addition to this, we make sure that the stools offered by us are comfortable to sit on. Table Top Material: 18mm MDF laminate with edge bending. Perfect in height, this Laboratory Stool is superior in quality and easy to place. 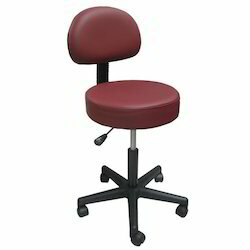 Our clients can buy a wide array of best quality Laboratory Stool. The offered laboratory range can be availed from us in various sizes and pattern according to the need of clients. Highly acclaimed for its high strength and fine finishing, this product is offered at very reasonable rates. 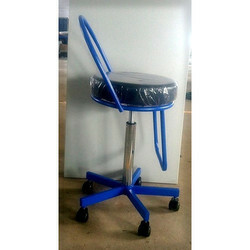 Due to our enormous understanding and massive knowledge of this business, we are involved in offering Laboratory Stool.